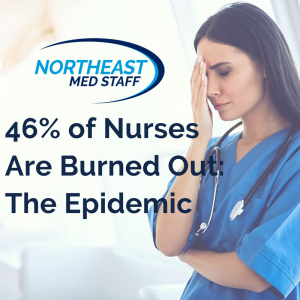 Many nurses suffer from burnout at work due to long hours, lack of sleep, and strenuous shifts. This can lead to your nursing staff being unmotivated and providing low-grade care to patients. In order to prevent burnout, facility owners must implement policies that drive motivation and keep employees engaged. When employees are engaged, they are absorbed in their work and take actions to further the organization’s reputation and interests. It’s important to keep employees engaged because they will go out of their way to better your residents and their families. Follow these tips and maintain an enthusiastic workforce. Sometimes a little goes a long way. Give your staff a little recognition each day and show that you’re paying attention to all of their efforts. Employees become more inspired and motivated when they feel their work is contributing positively to the organization! Each day encourage your staff to keep up the hard work. Implement an employee reward system at your facility whether it be employee of the month, overtime rewards, or work anniversary gifts. Your staff work extremely hard so they deserve a little extra appreciation! This will motivate your employees to provide their very best care every shift. Plan a team bonding events for your employees, away from your facility. Go out to dinner, attend a sporting event, or host a holiday party. This gives your staff the opportunity to get to know you, as well as the other employees better. Employees are more enthusiastic at work when they feel close to their colleagues. Come up with an overall mission that is unique to your company and contributes to a greater purpose. 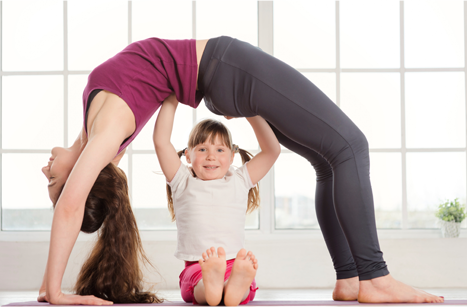 Make it about improving the quality of life of your patients, as well as their families. This serves as a daily motivator and reminder of why your employees come to work every day. When there are not enough nurses to provide adequate care to patients, your nurses get overworked. Overworking your staff eventually leads to burnout and disengaged employees, which makes your facility and its reputation suffer. 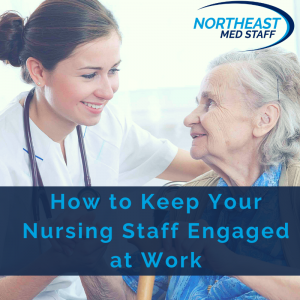 Utilizing staffing solutions is a great way to prevent understaffing and keep your current staff engaged. Make your facility stand out from all the others by treating your employees the best. This will not only bring more highly trained, quality staff to your facility, but also more patients requiring care. Certainly, your staff will come to your facility eager and ready to work! Everyone has been tired before. Sometimes life feels like too much, family responsibilities take its toll, and work adds additional stress. Being burned out, however, is vastly different and causes a lot more harm. Burnout is a condition caused by an overly exhausting workload. Working long hours, picking up too many shifts, and physical exhaustion can all cause burnout. Burned out nurses feel disengaged with their job. This causes nurses to lose their passion and job satisfaction. Not only is this mentally and emotionally exhausting for the healthcare professional, but the patient also suffers. 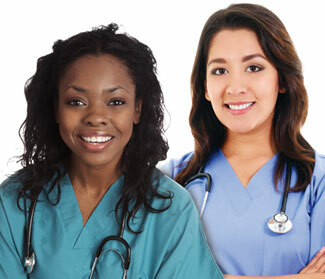 Nurses that are burned out are groggy, lethargic, and unmotivated, and therefore cannot provide their best care to patients. It is important to take the necessary steps to prevent this condition BEFORE it happens. The first step in preventing burnout is knowing what the symptoms are. The first symptom many people notice is feeling completely disengaged with both work and personal life. Prolonged exhaustion is another symptom that is a red flag. Additionally, many nurses who are suffering from burnout have said that they feel a lack of empathy for their patients. Clearly, when a nurse is feeling the effects of burnout, everyone suffers. When you begin to recognize these symptoms, it is important to take the necessary precautionary measures before burnout takes over. Whether you talk to your supervisor about your workload, or just switch up your schedule, it is important try different techniques to understand what is causing burnout. To take care of others, you must take care of yourself first. In your time off, keep your own health up to par. Make sure you are getting at least eight hours of sleep every night. This can be difficult for those working long shifts, and for those working nights. However, sleep is necessary. Take naps if you cannot get the recommended amount of sleep at night. Be sure to eat a healthy, balanced diet. Most importantly, don’t overwork yourself! One of the benefits of working per-diem is the schedule flexibility. Give yourself scheduled days off. Plan time for rest and relaxation. Do whatever you can to feel your best! 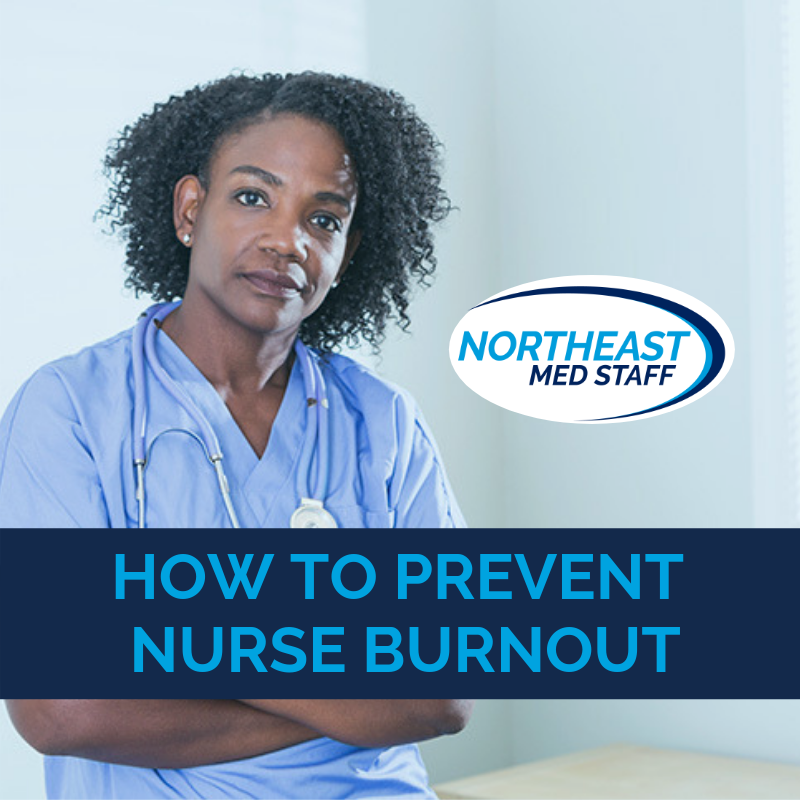 With these tips, we hope to reduce the amount of burned out nurses. By taking preventative measures, the nurse’s, patient’s, and facility’s well-being will all improve.